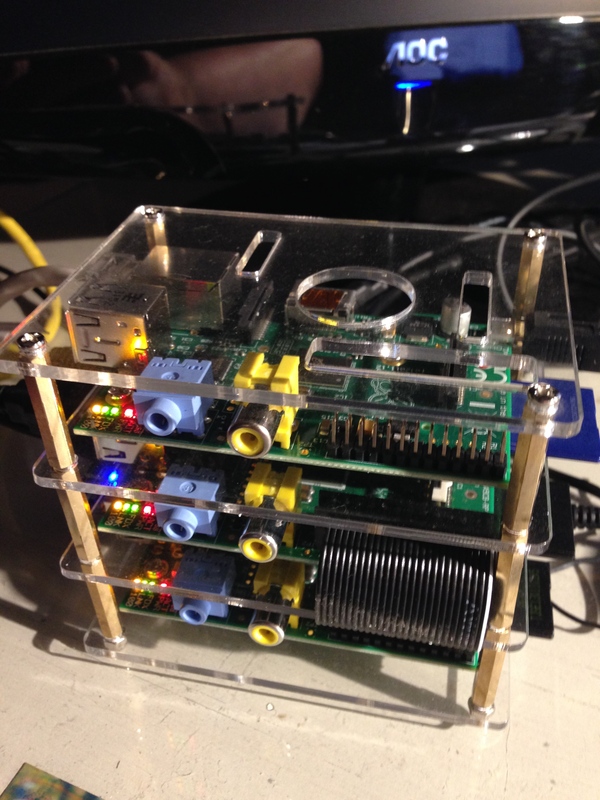 The Raspberry Pi is a remarkably fun toy. Of course I use the word “toy” with a lot of reservation. It’s is one of those gadgets that comes along once in a generation that can single handedly spark the imagination of anyone who comes near it. Simply put, it is a complete working computer about the size of a deck of cards. Everything you need is right there, simply plug in a USB keyboard and mouse (I recommend a Logitech mouse+keyboard combo so that both use the same USB Unity Adapter), an HDMI capable monitor (most all are these days), a HDXC flash card with an operating system on it (the same kind of cards 99% of cameras use), plug in the power (it uses a micro-USB adapter for power) and you’re good to go. What is all so remarkable about it is that it has ports for you to build on to and add your own electronic hardware such as motors, lights, sensors, etc. This allows the hobbyist in you to find a voice. When I was a kid, this was the stuff of science fiction! I won’t go into the details of getting and setting up a Raspberry Pi because there are plenty of resources out there on the Internet to help you with that. A good place to start is the official website for the Raspberry Pi organization. http://www.raspberrypi.org. For purchasing a Raspberry Pi here in the United States I find Amazon has the best prices and lots of cool add ons for it. I recommend the “Model ‘B'” or “Model ‘B+'” over the “Model ‘A'” as the Model B and B+ have twice the RAM as the Model A. Also, if this will be your first Raspberry Pi then I recommend one of the “Kits” that will give you everything you need to start out including a case, an SDHC card with several operating systems to choose from, power adapter and, in some cases, a USB WiFi adapter. As for myself, I’m busy building a mini Raspberry Pi “cluster“. Right now I only have three but at $35 each I can add a lot more over time. More stories of my adventures in working with this amazing little gizmo will be coming later.